Dark soy sauce is one of the two types of soy sauce used most often in Chinese cooking. (The other is light soy sauce). Aged for a longer period of time and with molasses or caramel and a bit of cornstarch added, dark soy sauce is thicker and darker in color than light soy sauce, with a more full-bodied flavor. It is also less salty. Dark soy sauce is frequently added to marinades and sauces to add color and flavor to a dish; it is also found in Shanghai-style red-cooked dishes. 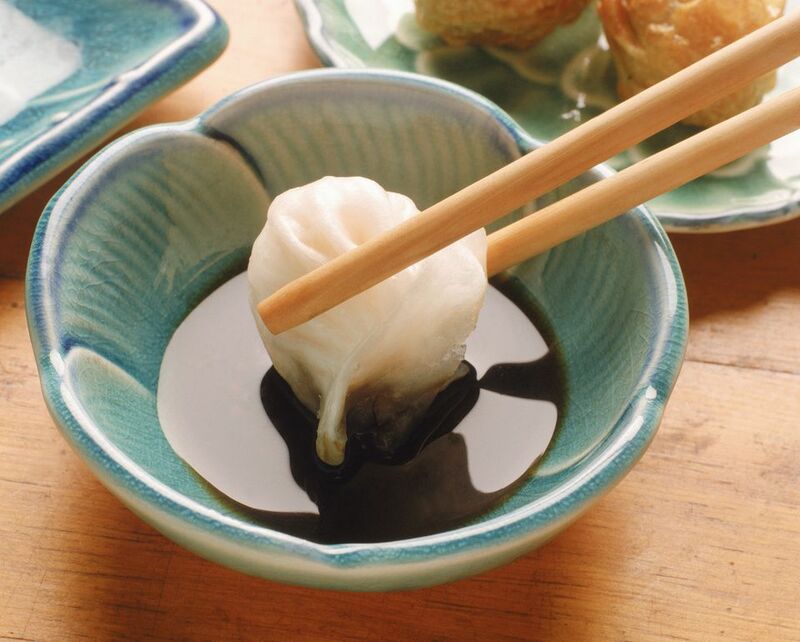 Although dark soy sauce is used primarily in cooking, as it needs heating to bring out its full flavor, you will also sometimes find it in dipping sauce recipes. Singapore researchers believe dark soy sauce may contain significant health benefits. In a study conducted at the National University of Singapore, scientists found that dark soy sauce may contain up to 10 times the anti-oxidants found in red wine. Dark soy sauce also improves blood flow, meaning it could possibly help slow down the rate of certain degenerative diseases. (However, it’s good to keep in mind that dark soy sauce does have a high sodium content, although not as high as light soy sauce). Also Known As: thick soy sauce (this is a bit tricky; some manufacturers label their soy sauces as thin and thick instead of light and dark. However, there is also a condiment called thick soy sauce that is basically dark soy sauce thickened and with added sugar).